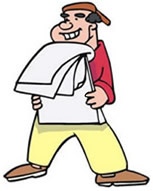 Directions: Grab your paper and pencil and graph paper. b. State the domain (the x-values used). 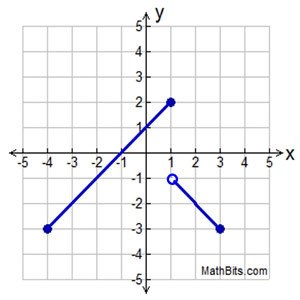 Write a piecewise definition in the form "y = " for the graph shown at the right. 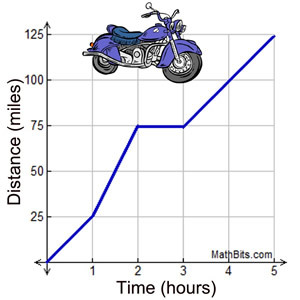 Dylan rides his motorcycle from his home to his friend's home 125 miles away. The graph at the right shows his journey. 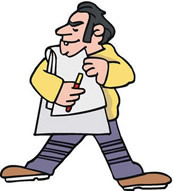 a) Write a story that will represent his trip. b) State the fastest average speed he maintained for at least one hour. 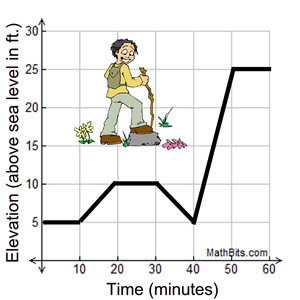 It takes Ariel 60 minutes to reach the hiking team's campsite, following a trail depicted in the graph at the right. a) Write a story that will describe this hiking journey. b) What is the change in the elevation between Ariel's starting point and the campsite? a) What is the rate of change of the graph on the interval where x > -1? b) What is the rate of change of the graph on the interval where x < -1? c) At what x-value(s) will the y-value be +3? Lynn usually has her bangs cut every three months. The graph at the right shows the growth of her bangs over the past year. a) Write a story to describe her bang lengths for the past year. 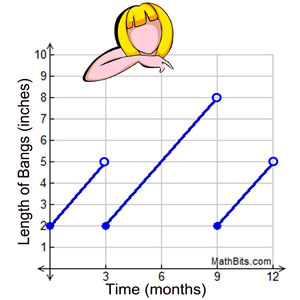 b) Does the graph indicate that Lynn's bangs continue to grow at a consistent rate? Explain. 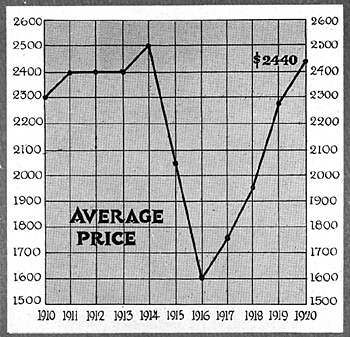 The chart at the right shows the average yearly car prices from 1910 to 1920.
a) What could possibly have caused the drastic drop in car prices starting in 1914? b) What was the percentage of decrease in the average price of a car from 1914 to 1916?